One of the highlights of the previous generation of consoles was being able to stream media from your PC to your Xbox 360 or PS3. The option basically turned your home console into a home media entertainment center. With the Xbox One's strong focus on watching TV on your TV, it might help knowing how to make the thing stream movies and music from your PC to your TV. Like any newb who gets a new device and doesn't exactly know how it works, I tried looking for the option to stream content within the Xbox One's utility and preference settings. There were no options to be found. Disgruntled, I figured the Xbox One simply didn't launch with the capabilities to stream media content from a desktop or laptop computer. However, some loyal readers pointed me to a recent Reddit thread where it was explained how to setup the Xbox One in order to stream content from your computer with ease. 1.) So first up, make sure the Xbox One is connected to your home network, either via wired or wireless connection. 2.) 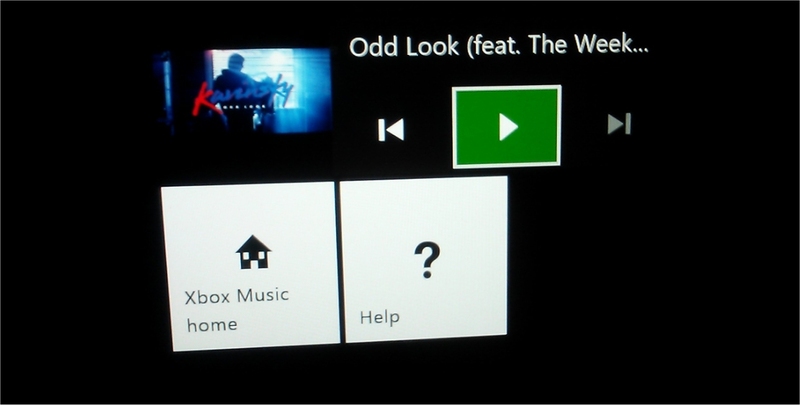 Head to the “Music” tab through the Xbox Live store and download the Xbox Music app, located right above a specified advertisement. 3.) Head to the “Video” tab through the Xbox Live store and download the Xbox Video app, located right above a specified advertisement. 4.) Head into the “Preferences” option through the user settings menu. Make sure that the “PlayTo” streaming option is checked. 5.) Switch over to your PC and if you're using Windows 7 click on Start menu and click on “Devices and Printers”. 6.) Add a device. The Xbox One OS should be an available UPnP option. 7.) 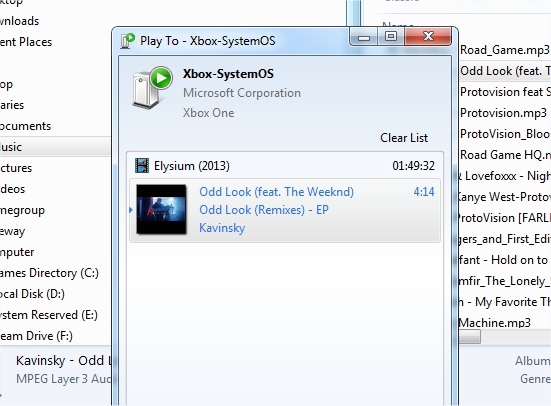 In Windows 8 use the Device charm through the Video app and select the Xbox One. There are a couple of things I should mention before you get too happy. If you want to make full use of the Xbox Video or Xbox Music apps, you will need Xbox Live. Then again, with just about every app in the Xbox store you'll need Xbox Live, so that should come as no surprise. If you're adding the device through Windows 7, you might get an error about the device driver, but it's no big deal. You can still stream to the device by heading to your media content folder (whether it be music or movies) and right clicking on the file and then click on “Play To” and select the Xbox One from the list. It should work without any problems. It works a lot better than I thought it would, but there's still some input lag and delay between streaming content on the Xbox One as opposed to streaming on the 360. Then again, the 360's dashboard was a lot more refined and streamlined. I notice that if you're not using Kinect there's a cumbersome stepping stone process involved with getting things done with the Xbox One. It's highly inconvenient. Hopefully with a newer update for the OS Microsoft will address some of these features so it works a lot more fluently than it currently does. Anyone already using their PC to stream content to their smart TV or has their PC hooked up to their TV, really doesn't have any reason whatsoever to stop using that method in order to use a game console to do the task for them. Also, be warned, not all formats are compatible with the Xbox One's current streaming services. I tried an MP4 and MKV movie format but didn't get it to read it. Then again, maybe I didn't wait long enough for it to load, as it took a while to boot up AVI and MPG files. It also loaded MP4 audio files quite easily, so maybe I was just being too impatient. I imagine Microsoft will also extend the media format compatibility with future updates.